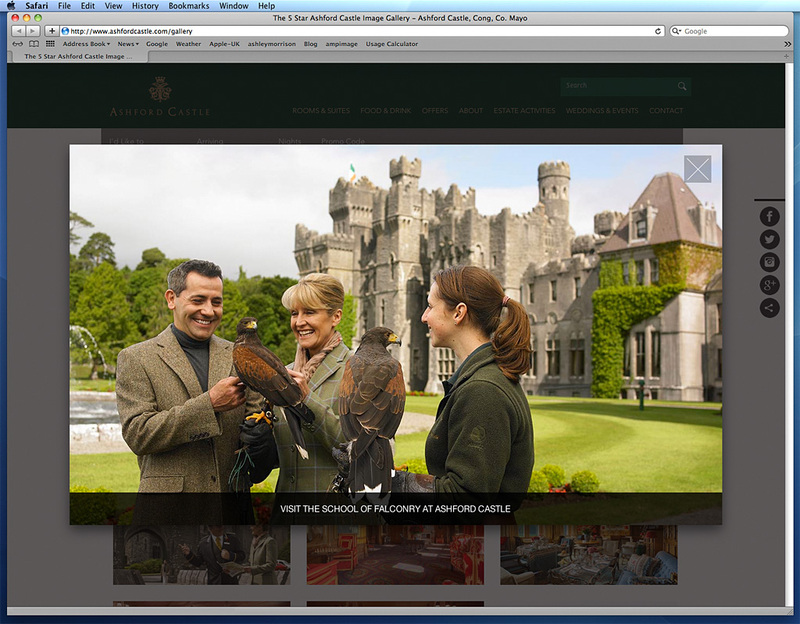 Web page in the gallery section of Ashford Castle's website. Media use: Worldwide web and promotional emails. Period of use: 2 years. Territory of use: Internet only. Copyright © 2017 Ashley Morrison, all rights reserved.